This week became busier than I expected but I'm o.k. with it because today at 2:35 our spring break begins! It's definitely time for a break from our regular routine and for some warmer temps. I'm pretty sure we'll enjoy every single minute of our relaxing week off. I'm still having a hard time wrapping my head around the fact that it's the beginning of March...where does the time go? So here's a quick round up of my 4 faves right now and props to my mom for finding these heart socks...perfect with ankle boots for the spring and summer. If you don't own a Baggu tote it's time to pick one up. They are great to travel with. 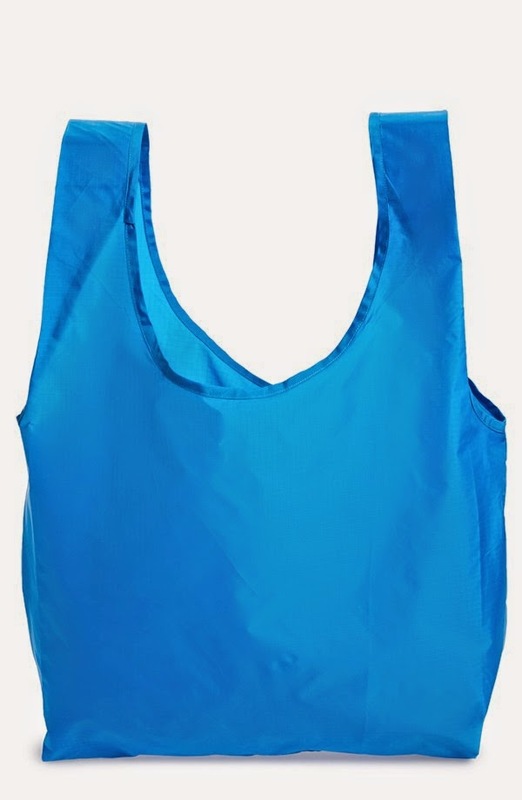 It's a breeze for me to fold up and the durable nylon makes a perfect beach bag because who has room to travel with a regular size one? Here it is unfolded...obviously this isn't the one I have but this pic is better. Have a great weekend and wonderful spring break if you're in Texas! Have fun on Spring Break - I'm so jealous!!! Those socks are adorable! Sure wish my mom picked up cute socks like that for me! ;) Have a great spring break. Soak it up!!! I truly believe you have the best collection of graphic tees ;). I love graphics tees too ;). Loving this. I love that Wonder Woman tee. So edgy! Love that detailed anklet too! 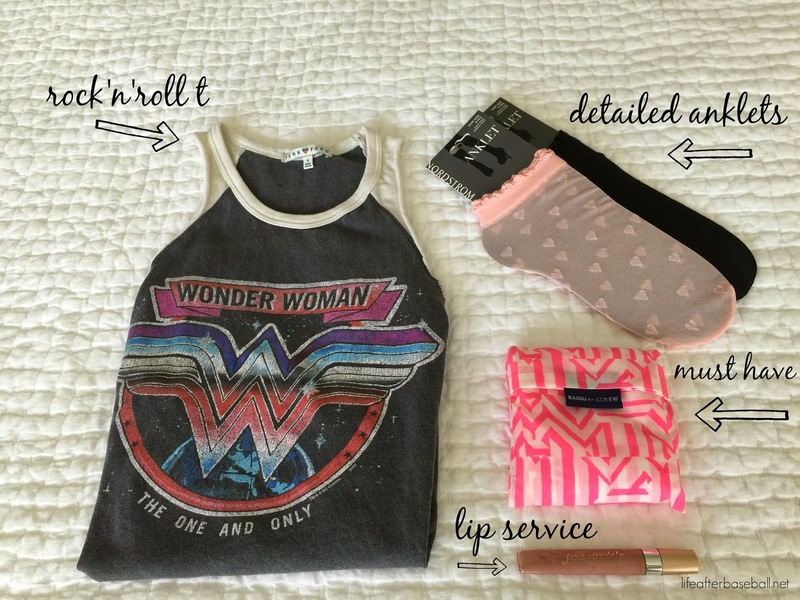 Love the Wonder Woman tee!